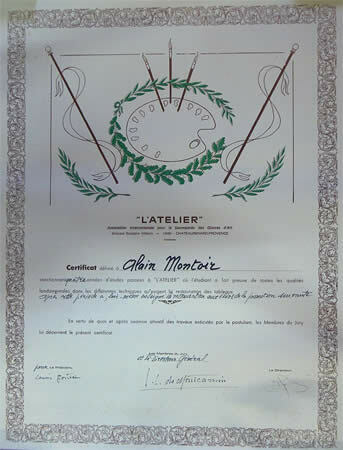 .In 1985 Alain Montoir enrolled in Mr. de Montcassin's Atelier for 4 years. 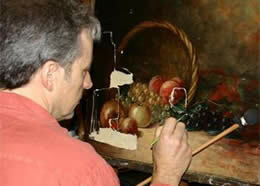 During his studies, his professor put great confidence in him and that's how he started to create copies for a Museum. Then he began to believe in his true artistic capabilities and each day would become impassioned before works, sometimes very damaged, but which, he knew, would regain their true viewability. 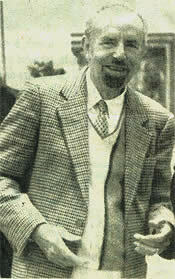 In his turn, he directed the School of Art Restoration in 1989 as well as the municipal art school. 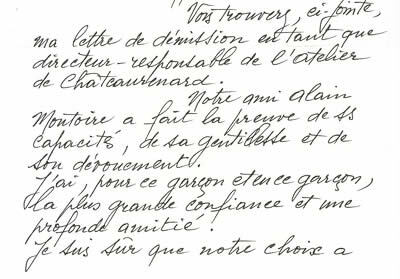 .Letter dated 02/27/89 from J.L.de Montcassin ; founder of the 1st school for art restoration in France in 1972, addressed to Professor Gontier, President of the association " L'Atelier " (International Workshop for the Preservation of Works of Art) /.copy for Alain MONTOIR.